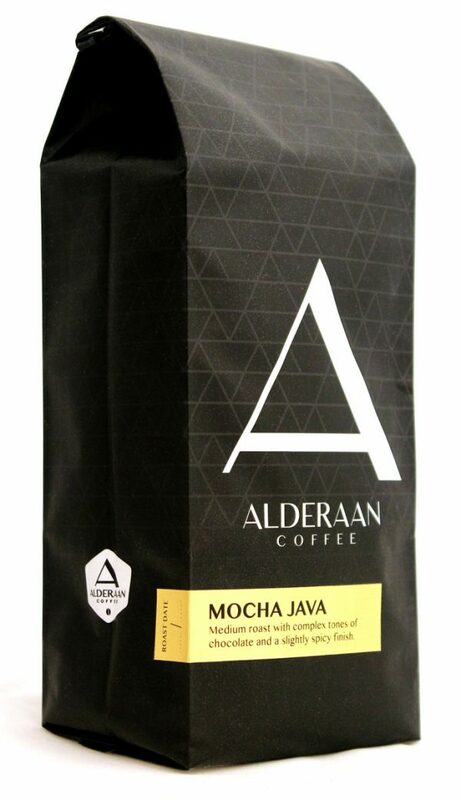 Alderaan Coffee now roasts our own Mocha Java blend. Our take on the world’s oldest recorded coffee blend. We combine an organic Java with a Colombian roasted in micro lots to achieve a fully developed, rich flavor profile. 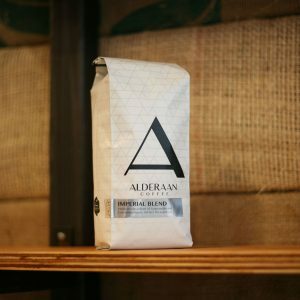 Every batch of Alderaan Coffee uses the finest green coffee beans sourced from all over the world. Roasted in micro lots to achieve a fully developed, rich flavor profile. We believe in quality and give attention to detail from roast to cup.